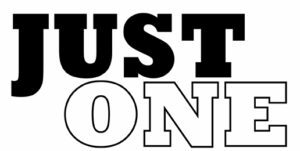 Healing Rides is a ministry of Wesley United Methodist Church and serves as a free community service for our church members and the Bloomington/Normal community. Our mission is to offer healing through sunshine, fresh air, and personal interaction to those who may be marginalized due to age, physical or mental disabilities, or economics. Healing Rides offers a bicycle ride on Bloomington’sbeautiful Constitution Trail on a specially designed Duet "Go-Anywhere" Wheelchair Bicycle Tandem. Well-trained volunteers drive the bike chairs and havea dedicated heart for this ministry. So just sit back and let us take you for an hour of fun in the sun. Please call the church office at 309-827-8046 to schedule a ride or to find out more about becoming a volunteer. This experience will enhance the quality of the lives of our guests and volunteers alike. For more information please visit the Healing Rides website, healingrides.com. The JUST ONE ministry offers our congregation the opportunity to support a different local need each month. The Church and Society Committee has consulted with a variety of local agencies to identify some of the needs of the families they serve. Each month, we are invited to address one need. Named items can be placed in the large wood bin in the hallway across from the Garden Room. Gift cards and donations can be deposited in the slot on the wooden box attached to the side of the bin. Donations may also be placed in the offering plate, with JUST ONE identified on the check's memo line. SEPTEMBER - Diapers for adults and children. OCTOBER - New and gently used coats infant through teen sizes. NOVEMBER - Canned goods and food for Thanksgiving Bags. DECEMBER - New school supplies, 24 count crayons, markers and pencils. Learn about this exciting paper goods distribution ministry! Habitat for Humanity of McLean County is part of a global, nonprofit housing organization operated on Christian principles that seeks to put God's love into action by building homes, communities, and hope. Each year Wesley helps to sponsor a Habitat House through monetary donations as well as labor to help build the house. This year, Wesley is partnering with Calvary United Methodist and Normal First to build a house located at 806 S. Madison Street in Bloomington. Wesley build dates are the third Saturday of every month starting in June through November or December. You can help with our Habitat house by signing up to build or by bringing snacks and drinks to the build site. No experience is needed to volunteer. If you would like to volunteer or would like to receive more information about Habitat for Humanity, please contact Addie Moy or call the church office, 309-827-8046. Each year Wesley helps to sponsor a Habitat House through monetary donations as well as labor to help build the house. No experience is needed to volunteer. If you would like to volunteer or would like to receive more information about Habitat for Humanity, please contact Jeff Snyder, jsnydes_normal@hotmail.com. or call the church office, 309-827-8046. 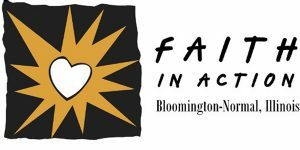 Faith in Action is a non profit, interfaith organization that provides assistance to persons 60 years of age and over to help them remain independent with dignity and have an improved quality of life. The services of Faith in Action are free to the recipients. Volunteers take seniors to medical appointments, shopping, meetings and other necessary appointments. They, also, will make friendly home visits, telephone reassurance calls, and preform light home repairs and yard maintenance. Volunteers choose the type service and the amount of time to give to FIA. If you or someone you know might benefit from these services or if you would like to volunteer to help a friend remain independent, please contact the Wesley Liaison, Linda Stuckey at 378-4688 or the Faith in Action office at 827-7780. You will find volunteering through FIA a rewarding experience!